Alistair Irwin served in the British Army from 1970-2005. His last two appointments were General Officer Commanding Northern Ireland and then Adjutant General (the Army Board member responsible for personnel matters). Alistair Irwin was Vice Chairman of the Commonwealth War Graves Commission 2011 -13, having served as a Commissioner since 2005. 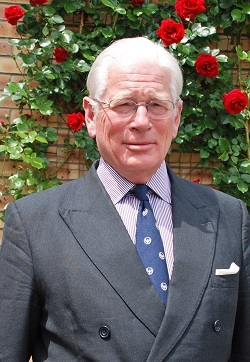 He has a number of honorary and voluntary appointments, amongst which are: President of the Royal British Legion Scotland, Poppy Scotland, Officers’ Association Scotland, and the Quetta Association; President (Army) Officers’ Association; Vice-President the Royal Caledonian Education Trust; Chairman of The Museum of the Black Watch. He is an officer in the Royal Company of Archers Queen’s Body Guard for Scotland. He lectures regularly on leadership, international relations and military affairs. He is also a published author on military theory and history and has contributed book reviews to The Spectator, War in History and the British Army Review. His other interests include fishing, shooting and small scale farming. He is married with three grown up children and five grandchildren and lives in the heart of malt whisky country in Scotland.